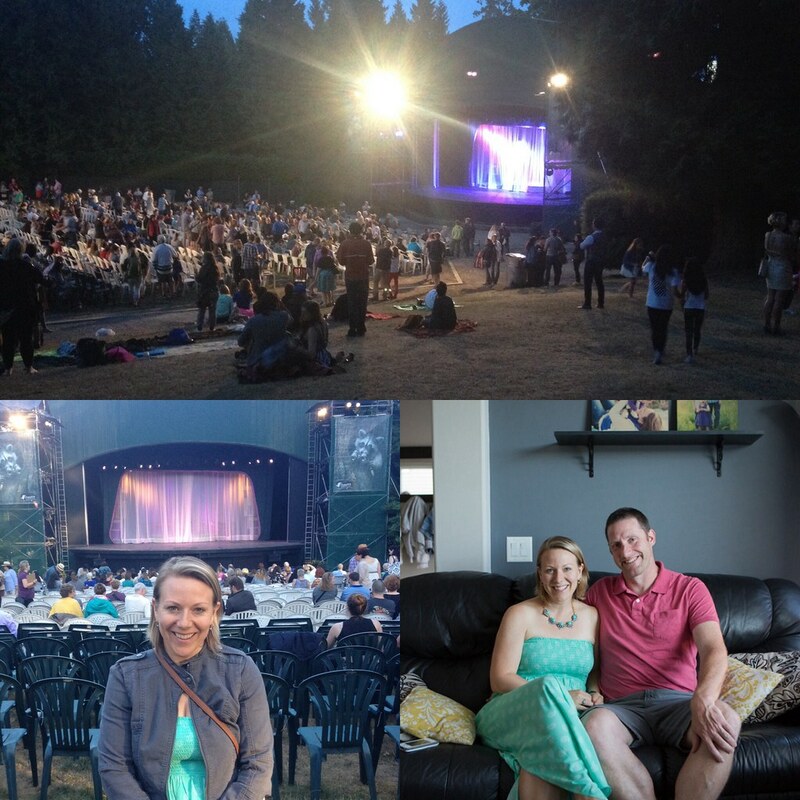 Last night, Gary and I went to see Hairspray–The Broadway Musical at the Malkin Bowl in Stanley Park. I had never been there before, or seen Hairspray, and I love that feeling of something brand new! The musical is about Tracy Turnblad's desire to appear on The Corny Collins Show in the 1960's in Baltimore. After landing a spot on the show and becoming famous, Tracy works to help foster inclusion on TV, and in the community, at the risk of her role and and friendships. What were my thoughts on it? 1. Tracy, played by Erin Walker, was awesome. She can really sing and plays that bubbly personality so well. 2. The venue was so unique, fun and romantic. I said a few times "Gary, this would be such a great first date!" and "Imagine if we were cuddled up on a blanket on the hill there?" We enjoyed hot chocolate and popcorn and cuddled up in our seats which was romantic, too. 3. Love the 60's--had to pick my favourite dress out amongst the dancers on The Corny Collins Show. Gary did not pick his. 4. I really enjoyed how upbeat and joyful it was. I was smiling the whole time and when I was peeking over at Gary (who is not really a "musical person"), he was smiling, too. 5. I love how this musical is all about inclusion, which is still such an issue today, but really highlights what it was like in the 60's. Have you been to Theatre Under the Stars before? Would you go? If you are looking for a thorough review of it, check out this one. It was a lot of fun; I didn't realize how much I enjoyed musicals! Tara, it was really fun. Are you going tonight, too? I hate to tell you this, but the older you get the more you like musicals! Dave and I are going to see the Sound of Music at Stratford this summer - one of my favourite shows! Ha, love it! I wonder what Gary and I will do more of when we're older!